Asia’s Answer to Snow White…Oh & Superman Too! I was watching some old cartoons today starting out with some of the awesome Max Fleischer animated Superman stuff. I hadn’t even realized that the animation was based on rotoscoping, which is essentially tracing over real actors to get the smooth real life movements into cartoon form. That explains a lot as to why those Superman cartoons feel so damn special. I knew that technique was employed by Ralph Bakshi for many of his films but had no idea that Fleischer was the originator of that style. Shows how much I know huh? 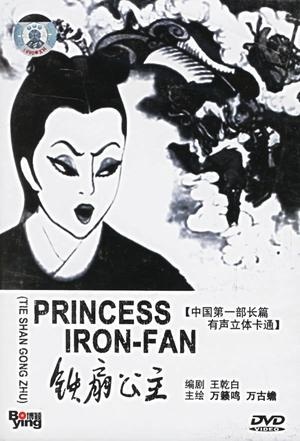 Well this also lead me to another amazing cartoon, Princess Iron Fan which was Asia’s first feature length animated film. They too used the rotoscope style of animation back in 1941. Later in 1966 we got this awesome live action version-Amazing! !